A delicious and easy sheet pan dinner recipe featuring chicken breasts marinated in a simple balsamic sauce. 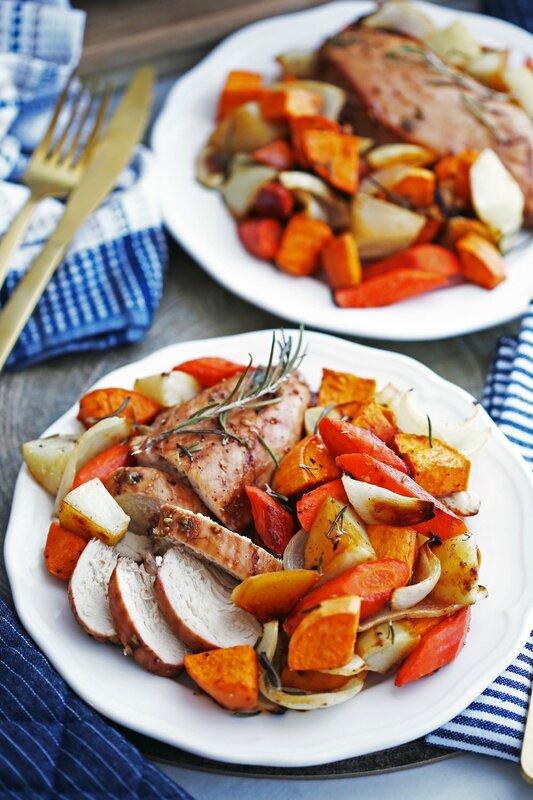 It’s baked with hearty vegetables, which includes potatoes, sweet potatoes, and carrots! Simple, colourful, and delicious! This root vegetable dish featuring carrots, parsnips, and sweet potatoes is topped with a fresh basil pesto! Crispy and pan-fried on the outside with soft, vegetable-filled insides! These Zucchini Carrot Pancakes are a tasty and colourful dish that can be served for breakfast, lunch, or as a snack!